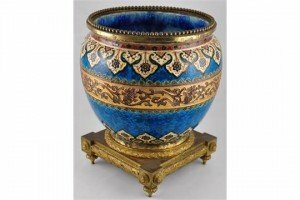 A 20th Century jardiniere with central gilt band on turquoise ground and ormolu-beaded rim, on Empire-style square ormolu base. 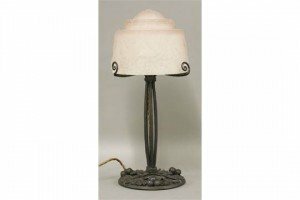 A French Art Deco table lamp, the moulded pink glass shade signed ‘Muller Frères Luneville’, raised on a wrought iron stand, with leaves and berries. 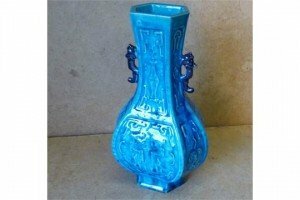 A Chinese hexagonal bulbous form two handled vase on a turquoise ground, having raised figurehead and scroll decoration. 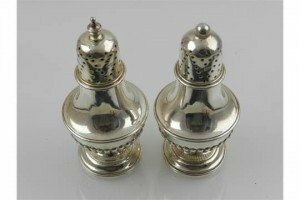 A pair of silver salt shakers having lobed bodies, raised on rounded spreading bases, hallmarked for Birmingham. 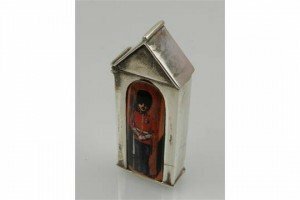 A novelty sterling silver vesta case in the form of a sentry box, having enamel plaque depicting a Grenadier guard. 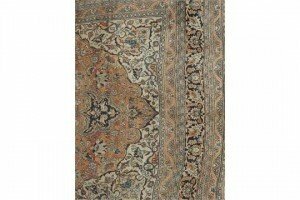 A vibrant Afghan design carpet, the central medallion flanked by geometric design within matching border on a terracotta and lime green ground. 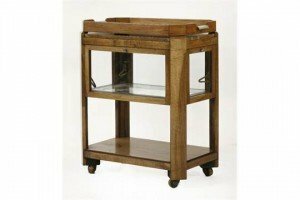 An Art Deco two-tier walnut trolley, with a lift-off tray top with chrome details, over a glazed compartment with bottom hinged drop doors, over another tier. 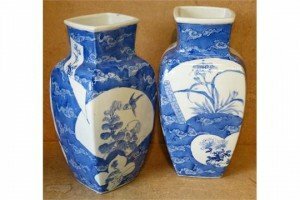 A pair of late 19th century oriental square bulbous form thin necked vases, on a blue and white ground with bird, cloud, floral and scroll decoration. 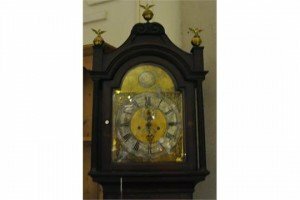 A George III mahogany long case clock, the arched brass dial with silvered chapter ring, subsidiary seconds and date aperture. 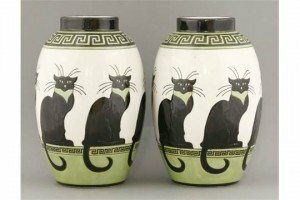 A pair of Keralouve style pottery vases, each with crackle glaze bodies, painted and glazed with a design of seated cats. 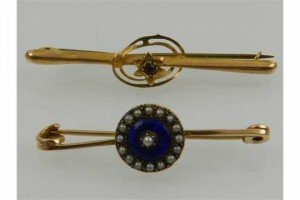 An enamel and seed pearl yellow metal bar brooch, stamped 15 carat, together with another bar brooch set with a amethyst. 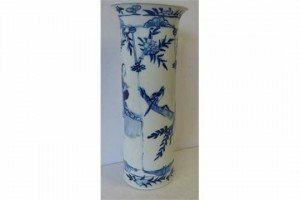 A Chinese cylindrical trumpet shape vase on a blue and white ground, having figural, branch and floral decoration. 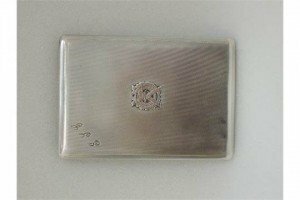 A silver cigarette case of slide action, having engine turned decoration, bearing London Scottish regiment insignia and initials, hallmarks for Birmingham 1933. 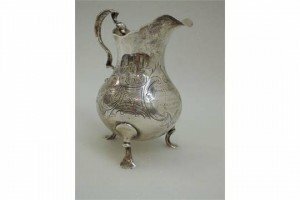 A Victorian silver cream jug having engraved floral and scroll decoration, inscription to cartouche and trefoil paw feet, London 1847. 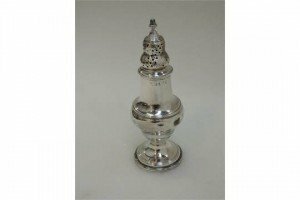 A Georgian silver caster of baluster form, having gadrooned decoration, a pierced lid and pineapple finial, hallmarks for London 1792. 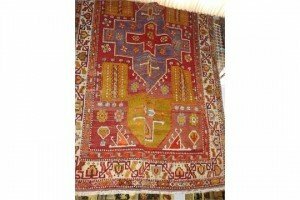 A central Persian Kashan rug, the pendent medallion on a rouge field surrounded by flower and palmetts with repeat palmette sapphire border. 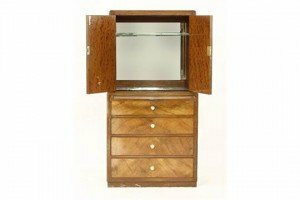 An Art Deco Token Works walnut drinks cabinet, designed by Betty Joel, with a mirrored cabinet over a slide and four drawers, with ivorine scalloped handles. 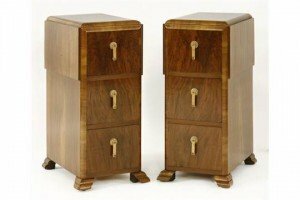 A pair of Art Deco walnut pot cupboards, each with three drawers with Bakelite handles, raised on stepped block feet. 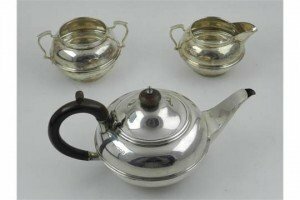 A three piece silver coffee service comprising of coffee pot, jug, and sugar bowl, having ribbed design, hallmarked London 1922. 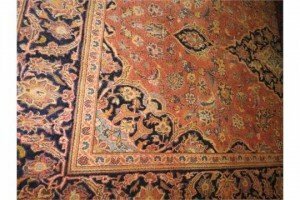 A Persian Tabriz carpet, the large central medallion over foliate design within corresponding multiple borders, on a camel and ivory background.